For IoT to meet its true potential in terms of affordability, functionality, and scalability, however, different vendors’ solutions will need to be able to talk to one another. And standards groups and middleware suppliers are now working to make that happen. For example, the World Wide Web Consortium is among the industry groups that are working on standards to allow for IoT interoperability. In fact, the W3C will hold a Web of Things meeting Jan. 26 through 28 in Nice, France, at which attendees will stage a plugfest; participate in open discussions; and break into groups to prepare a charter on standardization, talk about use cases and requirements, and set plans for technology surveys, said Dave Raggett, technical lead on the web of things for W3C. In late December as this story was being reported on and written, W3C was still registering people for the event. But Raggett said that the group’s last plugfest, in Sapporo, Japan, involved 10 participants, including hardware and software suppliers. That effort, he said, was focused on controlling a light; security will be the focus of the Nice plugfest. The overall goal of the W3C Web of Things effort, he said, is to create a platform of platforms. That will involve enabling servers how to communicate and share metadata with one another, he said. And that will require W3C participants to first identify what kind of metadata needs to be standardized. Say a thermometer rises above a threshold, he said, you need a way to express these data models. From the application script you have a software object that has a property, like the temperature, so that’s data model, he said. Such an application would also involve the temperature sensor, he said, but you have to decide what it is measuring and in what units (Celsius or Farhenheit) it will provide those measurements. Then there are the issues of how to authenticate the devices, what methods to use to let the sensors sleep when not in use and wake up when they are needed, and what protocols to support. W3C has been running a Web of Things interest group since the beginning of 2015, and a Web of Things working group will be formed within W3C in 2016. Raggett said to expect the group to publish a use case requirements study in the first quarter of this year, and come out with initial drafts of standards sometime in 2016. W3C, he added, has been collaborating with other industry groups such as ETSI and OneM2M, has been talking with the Industrial Internet Consortium, and hopes to work with the Open Internet Consortium. He said that while some groups have already been working on IoT standards to address fragmentation, most of that work to date has been on low-level connectivity type things as opposed to things at the information level, at which the real value of IoT exists. Participants of W3C’s Web of Things effort include such notable companies as AT&T, Avaya, Fujitsu, Google, Mitsubishi Electric, Nokia, Oracle, and Vodafone. 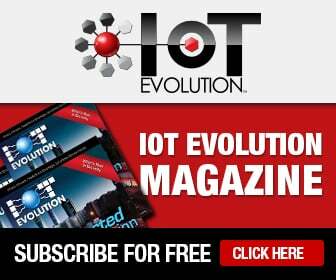 While standards and other industry groups are working to bring things together, companies like wot.io (a subsidiary of InterDigital Communications) already offer solutions that allow for integration among various IoT components. Mike Jeronis, wot.io COO and founder, explained that his company has a data service exchange that is essentially middleware that enables different IoT platforms to talk to one another and to allow data to be processed by various analytics engines, databases, and other hardware and software resources. The wot.io solution is based on a serviceoriented architecture, has a flexible framework that lets it easily adapt to a variety of protocols (like CoAP, XMPP, etc.) and platforms (such as ARM mbed servers or standard or proprietary platforms), and leverages microservices to allow for scale. The company was part of a smart transportation demonstration involving delivery trucks in London. The demo, which was shared at Mobile World Congress in 2015, included the Stream Technologies platform, which connected to wot.io, which was integrated with an ARM mbed server. “This market today is so fragmented,” said Jeronis, adding that wot.io helps bring it together.